DOLPA, Feb 14: Continuous snowfall in Dolpa district since Monday morning has severely affected normal life in the district. The locals have been confined to their homes as traveling to even the neighboring settlements has come to a grinding halt. 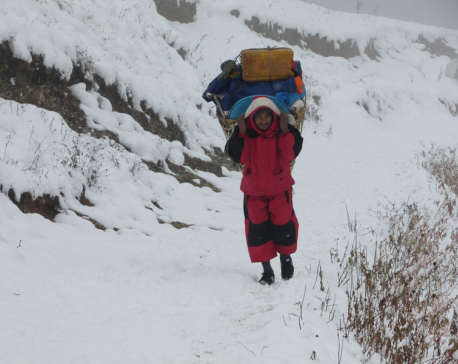 The snowfall has especially affected the upper parts of the district that shares borders with neighboring China in the north. 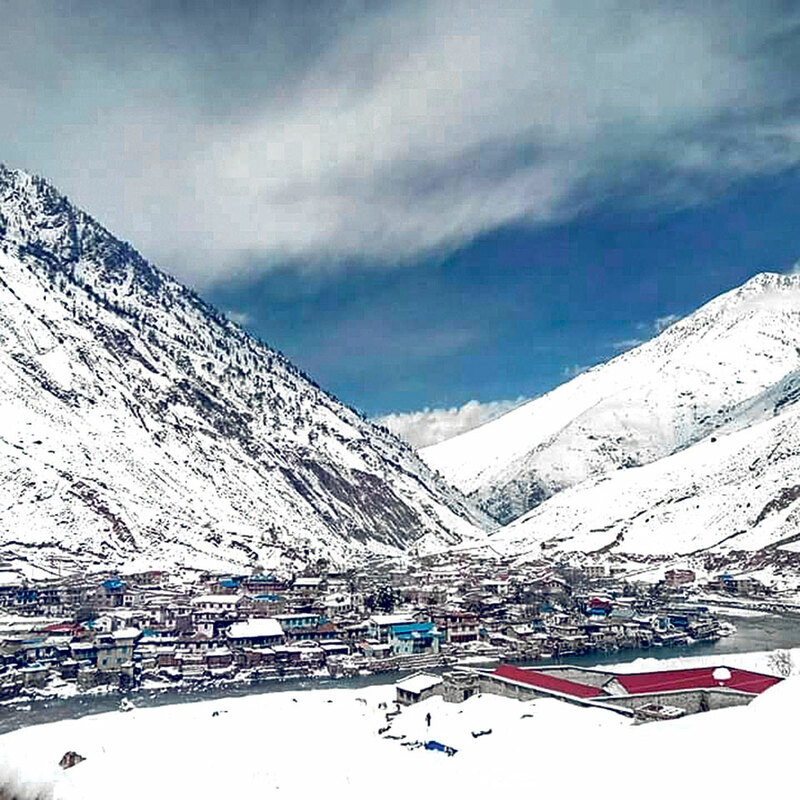 Settlements in upper Dolpa, including Dolpo Buddha, Shey Phoksundo and Kaike Rural Municipality and the district headquarters Dunai have snows measuring up to seven inches from ground. Likewise, the snowfalls were also recorded in Mudkchula, Jagadula, Triparasundari and Thulibheri of the district. 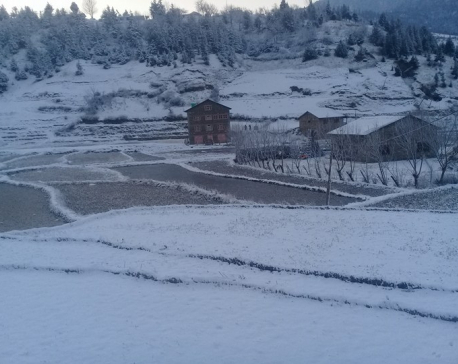 Maure, a boder point between Dolpa and Jumla districts, also recorded three to four feet of snowfall. Transportation in the bordering areas of the two districts has been halted as a result. Flights to and from the Jufal Airport of Dolpa have been halted after a snowfall measuring more than one foot. The temperature has dropped drastically due to the sudden snowfall since Monday morning. The temperature has reached minus four degree Celsius of late. Nonetheless, the snowfall has brought happiness to the farming communities in the district. Snowfalls help farmers to improve the yield of their winter crops, including potatoes and other vegetables. “We were worried thinking there won't be snowfalls this season. The farms were getting dry and we were worried that it would lead to starvation,” said Amar Singh Kathayat.